Dixon, Illinois was once the home of President Ronald Reagan and also the site where Abraham Lincoln joined the Illinois militia at Fort Dixon during the Black Hawk War. Today, Dixon is a sleepy town that celebrates its history of presidents and their service, as well as the Lord’s presence. 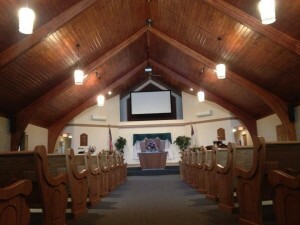 We recently installed church pews in the Sauk Valley Seventh Day Adventist church in Dixon. Sauk Valley has a history of Seventh Day Adventists going back to the late 1880s and there has been a church in Rock Falls since the 1940s. In 2013, the church moved to a new home on Prospect Street in Dixon. The beautiful new structure needed church pews that did justice to the interior, which features a gorgeous wooden ceiling and rafters. 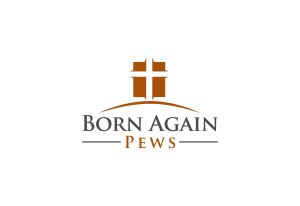 They remind us of the Ark and Noah’s journey, which was full of trust in the Lord. 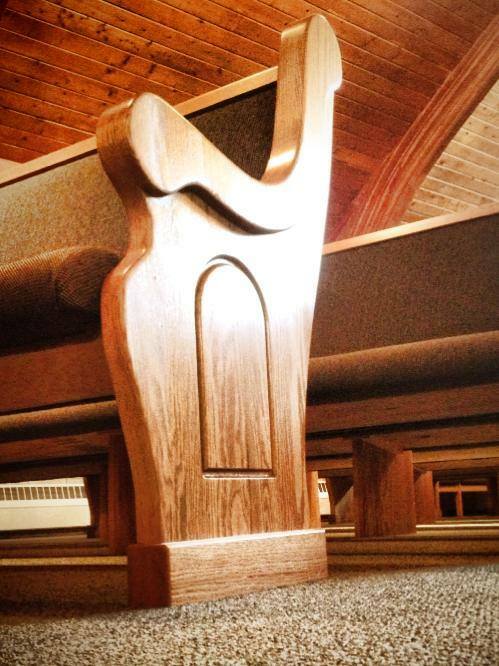 The church pews we built for the Sauk Valley church feature gently curving, low armrests with slim-looking church pew ends. The profile of these church pew ends fit perfectly with the curving supporting rafters of the church’s interior. More traditional style church pew ends, like our colonial styles, wouldn’t have fit well with the church’s architecture like these church pews and we were pleased with the Sauk Valley church’s decision on these church pew ends. Solid wood church pews were the ideal choice for this church because of all the woodwork involved in the church’s architecture. Church pews made of other materials, such as veneers and faux grains, look fake when put up against real wood. They also don’t last as long as solid wood pews. These church pews we installed will last for a very long time because they’re made with solid wood, just like the other parts of the church. Last but not least, we made sure to match the colors of the wood in the church as closely as possible with the new church pews by staining them. When we stain our church pews, we take time to do it right and make sure that all our church pews are just right for their surroundings. We think that these church pews fit the bill.